Purchase this product now and earn 3,360 Reward Points! 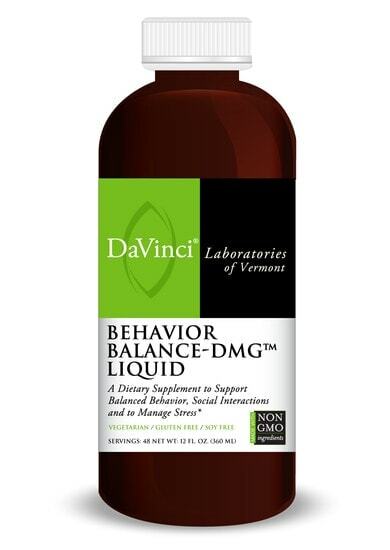 Behavior Balance-DMG™ Liquid is an advanced, Phenol free, nutritional supplement that combines our patented N,N-Dimethylglycine (DMG) with Betaine, Folic Acid, Vitamins B6 and B12, Zinc, and Magnesium in a great tasting, natural tropical punch flavored liquid. 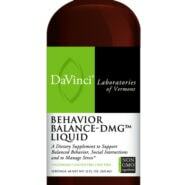 These nutrients work synergistically to balance behavior patterns and socialization skills, support stress coping mechanisms and immune system function.